My dad made a few Christmas gift requests this year. One thing that was on his list was a fleece neck warmer. When the idea was first suggested I was a bit reluctant, I was already feeling overwhelmed with projects, and didn't know that I wanted to spend my time making neck warmers. I have to tell you though, once I started I couldn't stop. I plan on making at least one more for myself. I've come up with a few different variations, but I'm going to share the most basic and practical version with you. This is basically a circular scarf. It is perfect to throw on quickly when going out to shovel the walk, walk the dog, go for a run, or go cross country skiing. The top photo shows the colorful neck warmer that I made for Clark. He is Mr. Independent. He pulls his new fleece hat and neck warmer on all by himself. 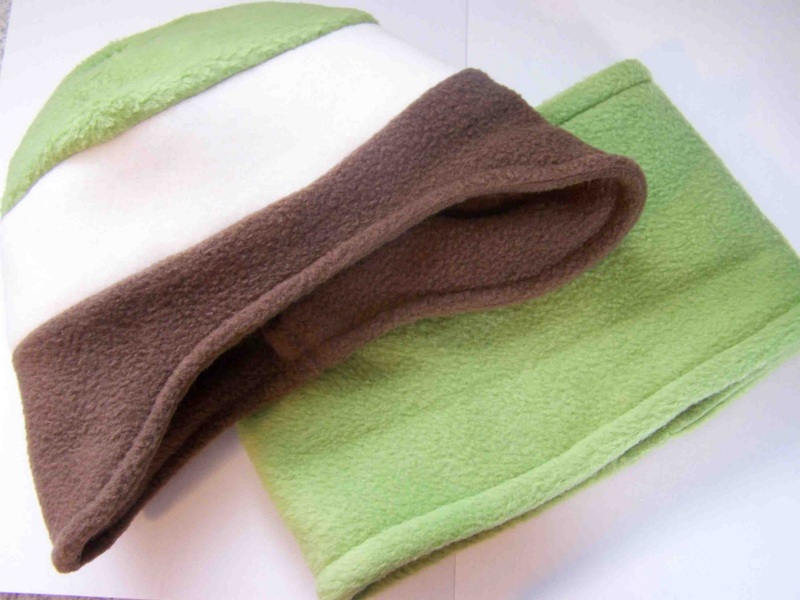 Are you interested in making a neck warmer for yourself? I'll explain how. 1 rectangular piece of fleece. 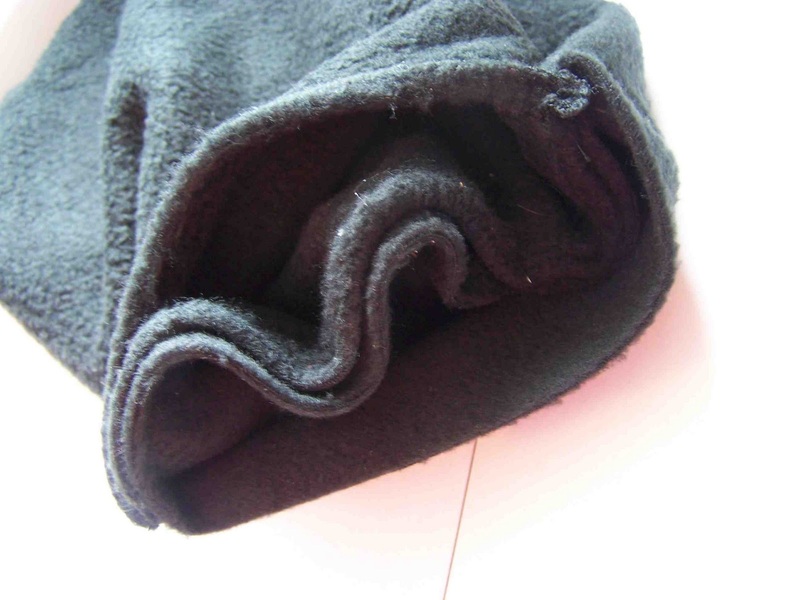 Fold you rectangle of fleece in half, matching up long edges with right sides together. Pin in place. 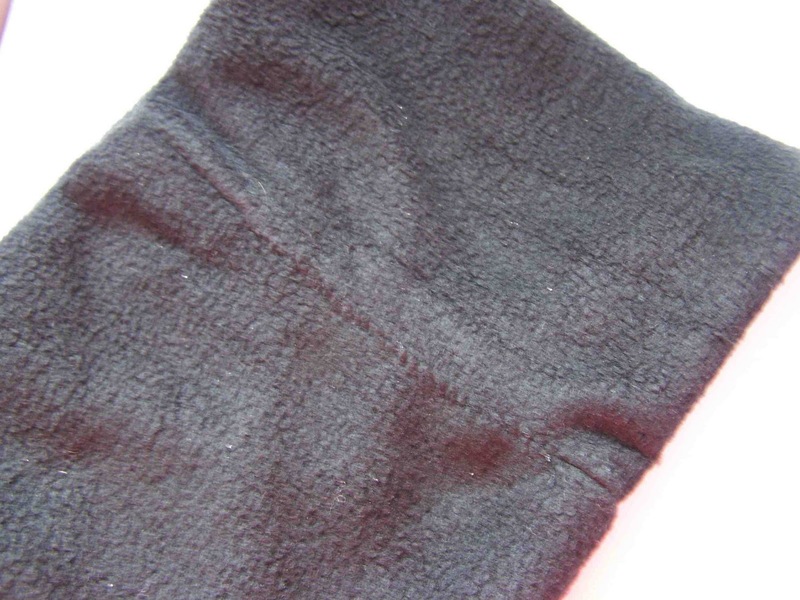 Machine stitch long edge with 1/4" seam allowance. You will now have a long tube. Turn tube so that right sides are facing out. You are now going to make the neck warmer into the round. I apologize, because it is hard to describe and photograph this part).To do so you first want to match up the seams of your neck warmer. 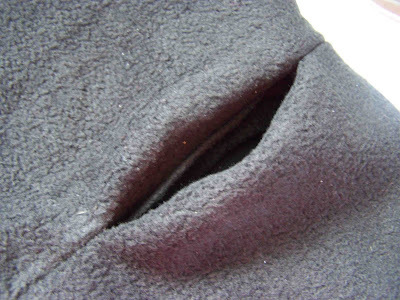 Pin seams together (not all four layers of fabric). You will be pinning right sides together. Continue pinning the two layers of fabric together, working around the tube. It will become difficult to pin the layers together about half way through. Just pin as much as you can. 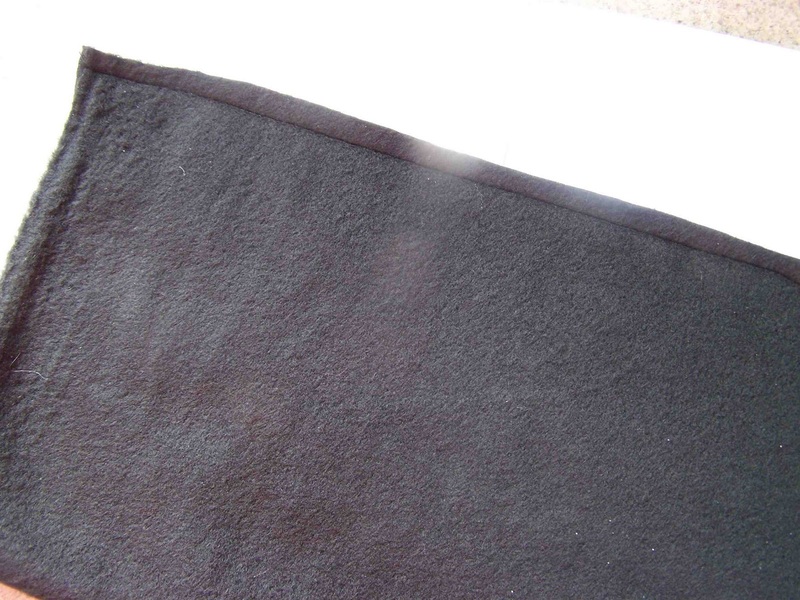 You are now going to machine stitch the pinned layers of fabric. Start about 2 inches before the matched seams, and stitch along as far as you can go. Remove pins as you come to them, and adjust the fabric so that you can align and sew unpinned fabric. You will want to leave a 4 inch opening to turn your tube. You should have an opening like this. It will be on the inside of the neck warmer. Using a needle and thread, stitch the opening closed, folding in raw edges. To secure the two layers of fabric, I like to stitch 1/4" away from both edges. There you have it. 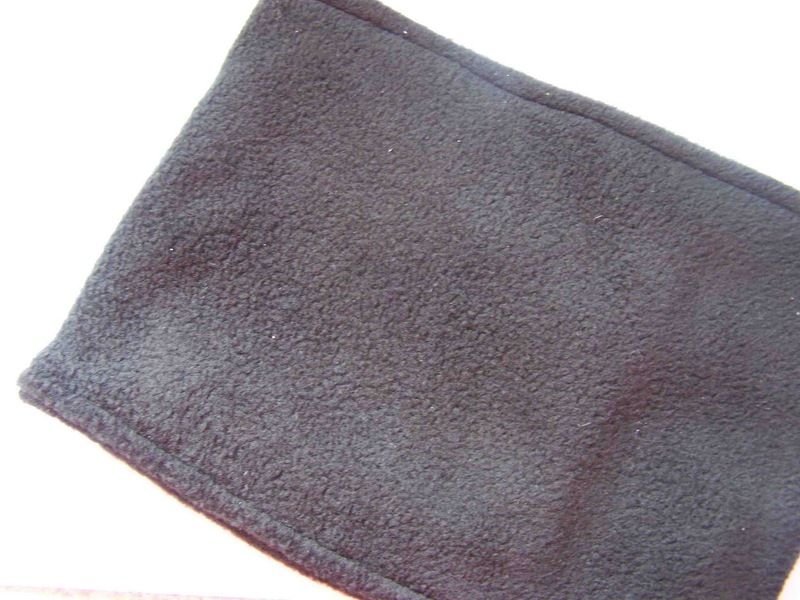 A basic fleece neck warmer. I used Joann's anti-pill fleece for these projects. 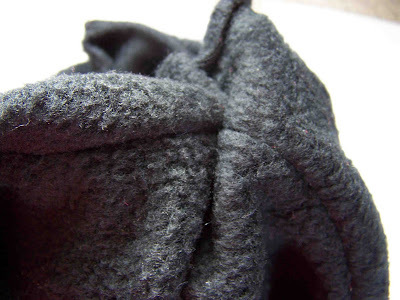 I would have preferred blizzard fleece, which doesn't collect as much lint, or cause us much static charge. The larger dimensions create a nice long gator, that can be pulled up around the chin and mouth. The really help you stay nice and warm when outside in the ugly winter weather. My Father-In-Law told me that he was really glad that he had his when he went out running this past week. I'll be linking here. Thanks for reading. 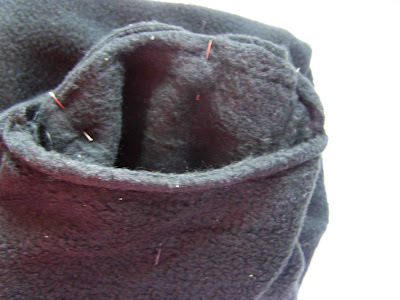 I'll share a short tutorial tomorrow on making these double layered fleece hats. This is awesome and as Lu said would be perfect for running. I could have used one this morning on my run in the cold. I sure needed one of those this morning! Have you ever seen "green pepper" patterns? They have one for neck warmers that I've made, as well as many other wonderful outdoor gear patterns! Great job! I bet your dad LOVES them! That is a great gift, thanks so much for sharing!! Thanks so much! I got to the "long tube" part, but just could not get my head around making it into the round. I needed the photos to help. Turned out perfect! Thanks for this great share. This site is a fantastic resource. Keep up the great work here at Sprint Connection! Many thanks.